Hello, sweet friends! 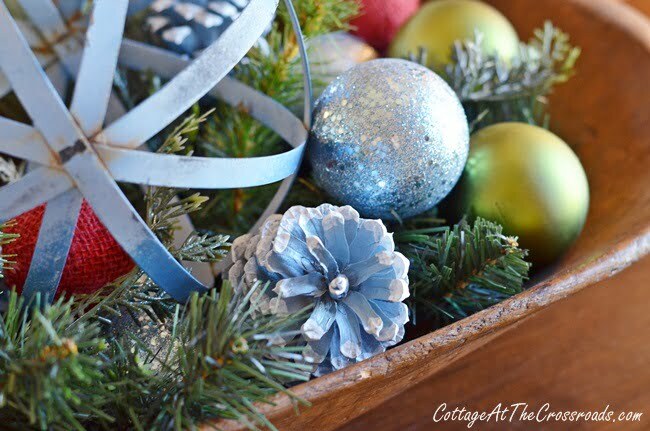 I thought I’d show you the last of the Christmas decor and give you a recap of Christmas 2017 before it becomes a distant memory. It really has been a busy week or so around the Crossroads. Right before Christmas, we celebrated my mother’s 95th birthday. Here she is with my niece and her family. We are blessed to still have her with us. I was tweaking the Christmas decorations up until the last minute. I don’t know why I was so behind this year. I even got started with the decorating before Thanksgiving. 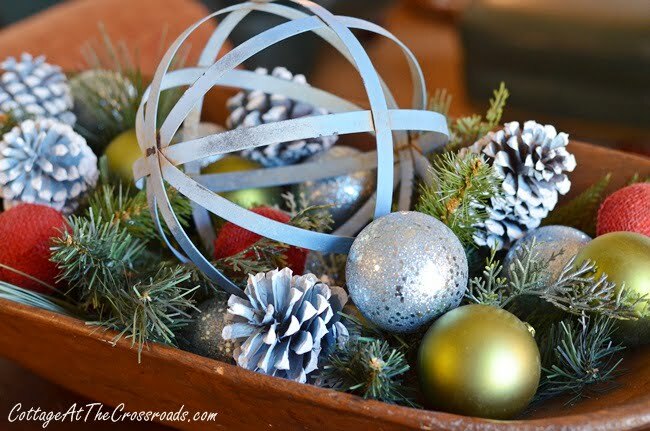 I threw in a few more of those blue painted pine cones in my dough bowl along with some other Christmas decorations. The rusty blue orb has spent a lot of time out in the garden before coming inside. The old fashioned bubble lights have mesmerized me during the entire season, and I’m in no hurry to remove them or the other decorations. I just want to enjoy the decorations and sit in the glow of the lights without having to clean, cook, shop, or wrap. Or decorate. I never got around to putting a wreath on the front door. 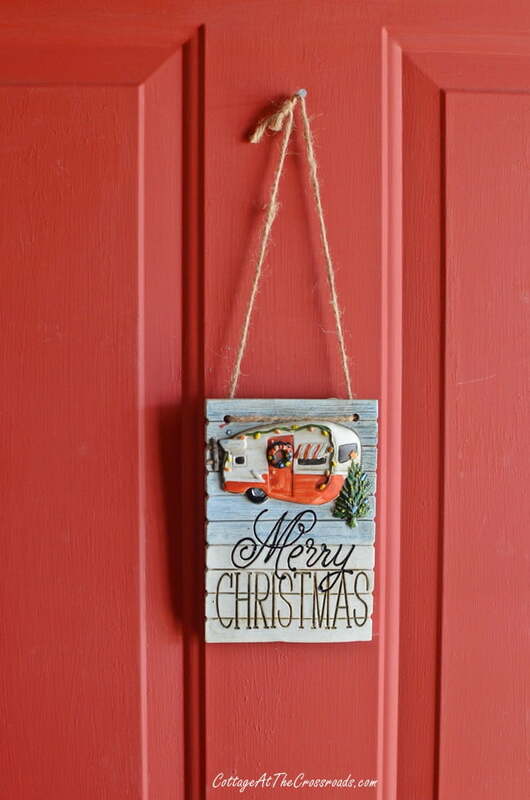 I hung this vintage camper Christmas decoration on the front door and that’s as far as I got. I don’t think anyone noticed or minded. I wasn’t even going to put out all my gingerbread decorations in the kitchen because I was running so behind. But I’m so glad I did. The new gingerbread and marshmallow garlands turned out to be one of my favorite decorations of this season. Update: I just found both of these garlands on Amazon. 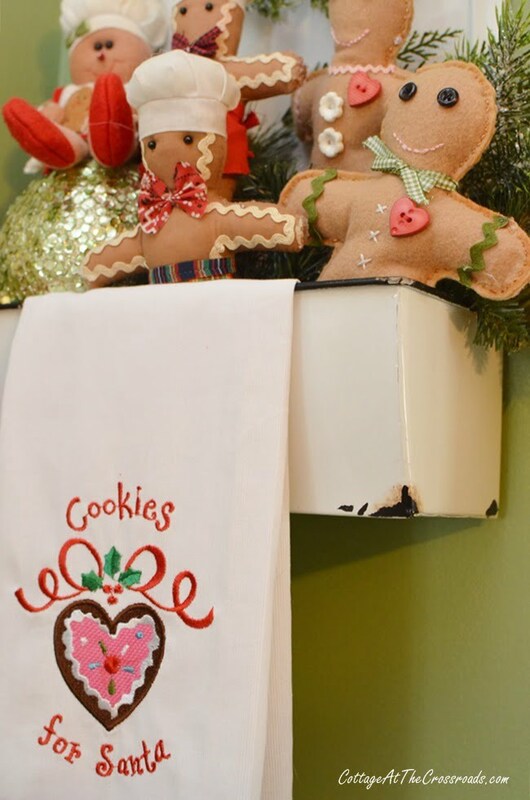 Here is my affiliate link to both: marshmallow garland and gingerbread man and houses garland I just smile every time I see these gingerbread people in one corner of the kitchen. 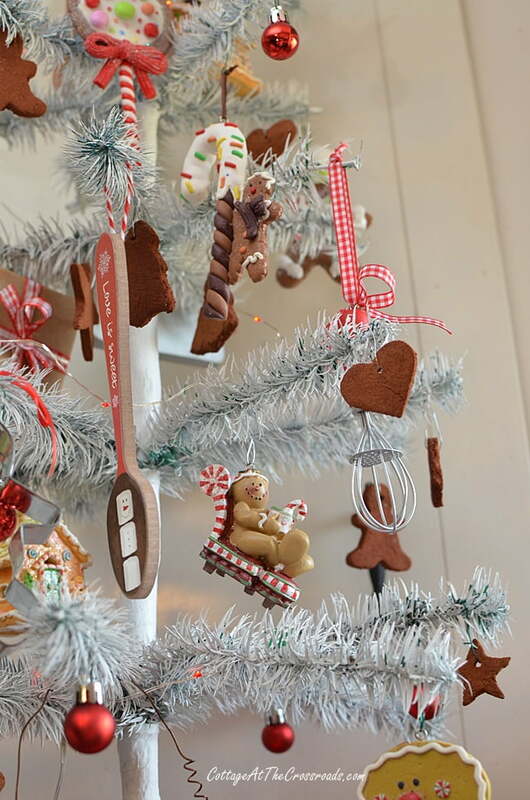 And these gingerbread ornaments were hung on a tree at the last minute. More old favorites were placed in the area around the stove. Instead of a candle, I put a gingerbread boy on the candle holder. 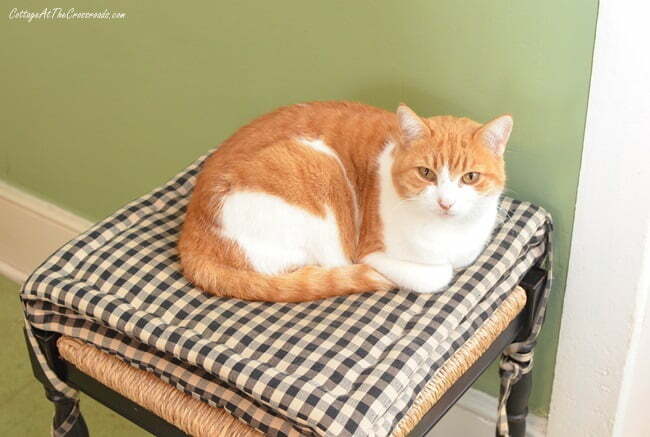 Juicy, the cat, adorns the stool. Have I ever mentioned that Juicy is really my mother’s cat, and she will sit in the seat of my mother’s walker and allow her to push her around the yard. It truly is the funniest thing and I must get that captured on video to show you. I got the last of the Christmas decor in place just in time to pick up 3 of the grandgirls on Dec. 23. 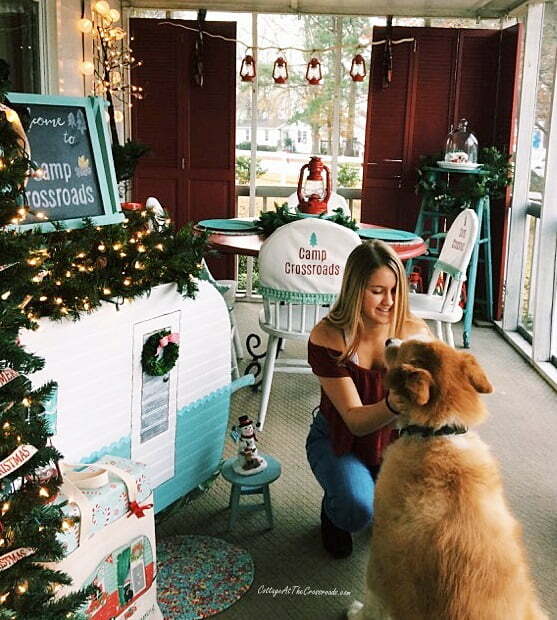 Here are Rose and Lucy on the vintage camper Christmas porch. After they arrived, I unplugged to give them my attention and care. I wanted to savor every minute with them and little Lydia who came on Christmas Eve. That’s when our home is full of family and fun. That’s when Santa comes to everyone, including Lucy, our dog. Just look at that contented face! That’s how I feel, too. Content that we were able to make everyone we love experience a wonderful Christmas. The grandgirls have gone home now and the house is way too quiet. Time to relax now and savor the beautiful memories. 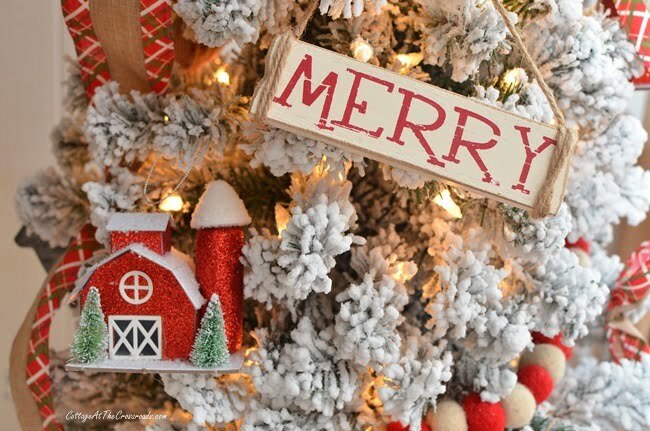 Thank you for indulging me in sharing the last of the Christmas decor, and I hope your Christmas was filled with lots of love and joy with the ones you love. Jane, your home just seems to bubble with fun, like the lights! Happy New Year! Love this! Last of my decorations came don last night with the help of 3 & 7 year old grandsons! Christmas memories are some of the best! Thanks for sharing! i always enjoy your kitchen decorations at Christmas! I know you enjoyed your family visits! Happy birthday to your sweet mama!! Thank you for sharing a wonderful post….especially thanks for sharing sources. Beautiful home and beautiful family! 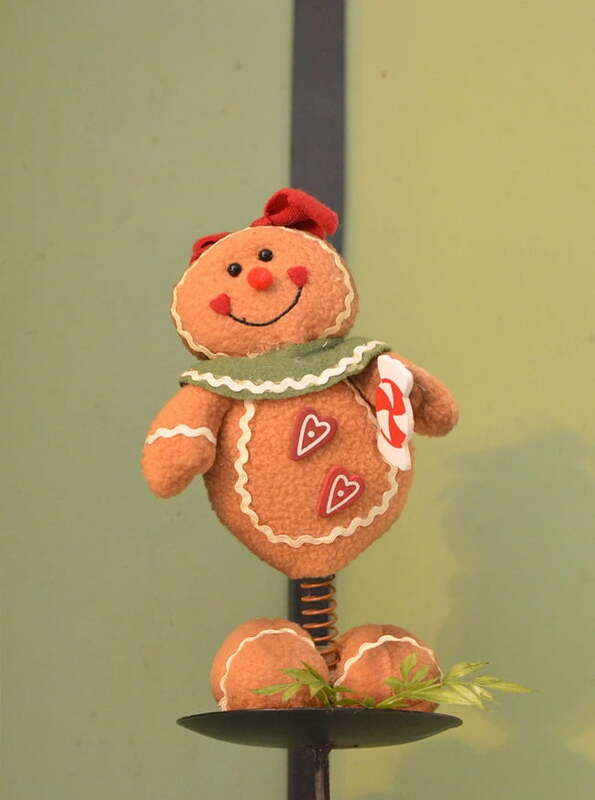 I LOVE the gingerbread decorations in your kitchen. Happy 2018! God bless your dear mother! My mother lived with me for 5 years before she passed at 96 1/2!! We still miss her so but she was the center of all our Thanksgving meals for many years along with my dad of course. He passed in1999, she in 2012. Your home is so cozy and comfortable looking! God bless your mom; you are blessed; we miss ours. your family looks great and i love your decorations. did you buy or make your gingerbread people. 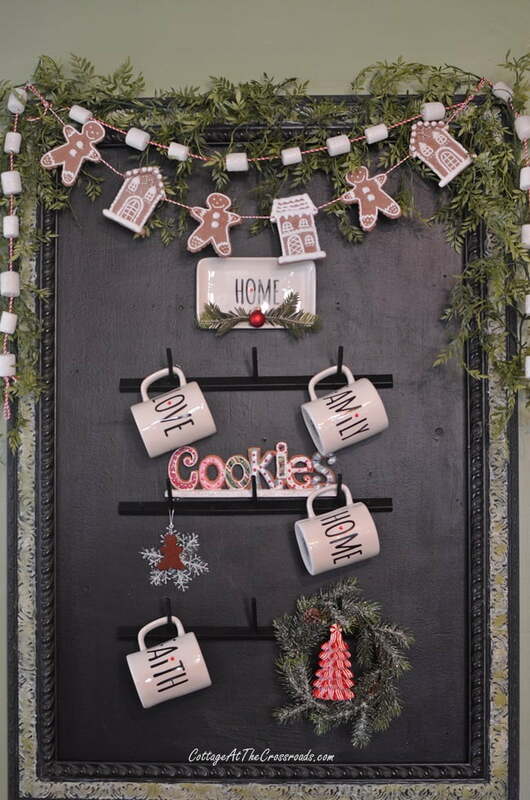 love the gingerbread shelf sitters. have a great new year. 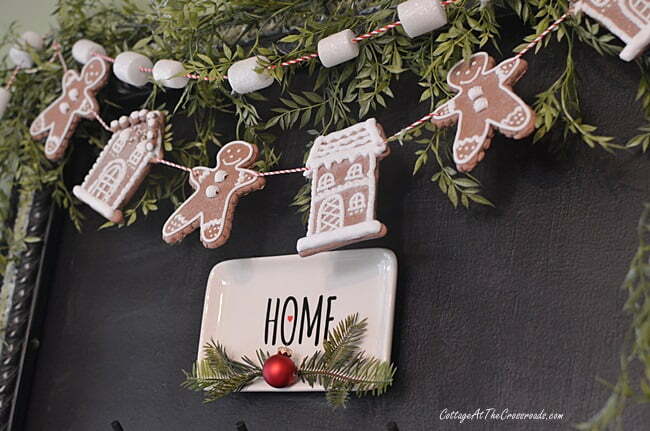 Did you make that adorable marshmallow garland? If so, how did you do it??? Love it! Jennifer, I purchased both garlands at a local store (Taylor’s Garden Center in Florence, SC) but I just found both on Amazon. 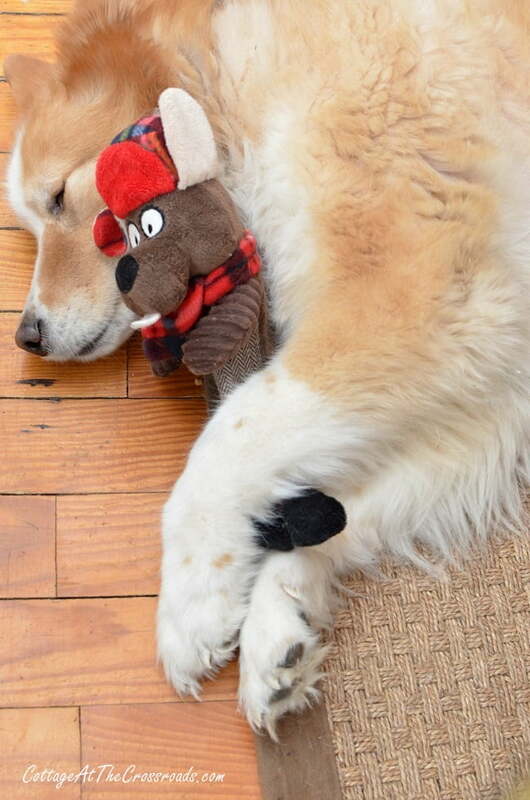 I’ve updated the post to include both because they are just too cute!!! Looks like you had a great holiday! Love your gingerbread men! So cute! 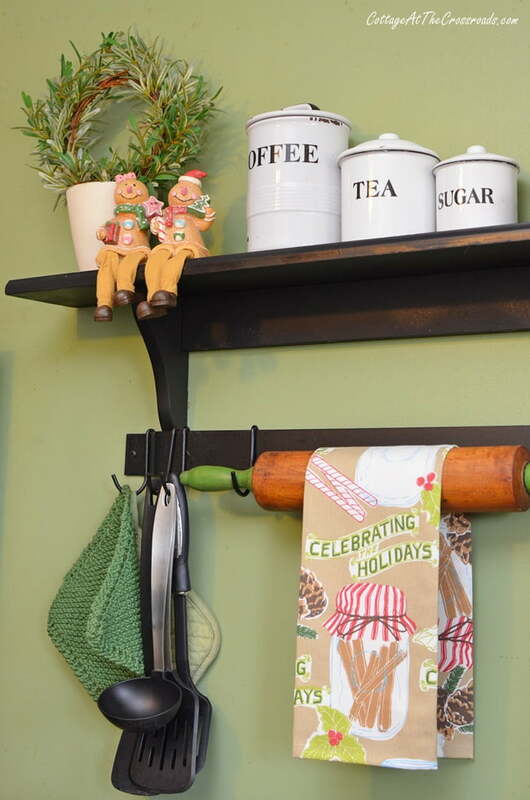 I also like how you used your rolling pin to hold the dish towel, clever! Happy New Year! 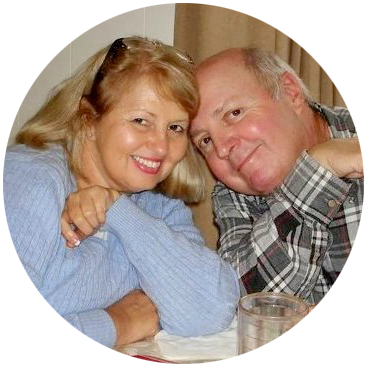 Jane, Your pictures show how much fun & love were in your house on Christmas. 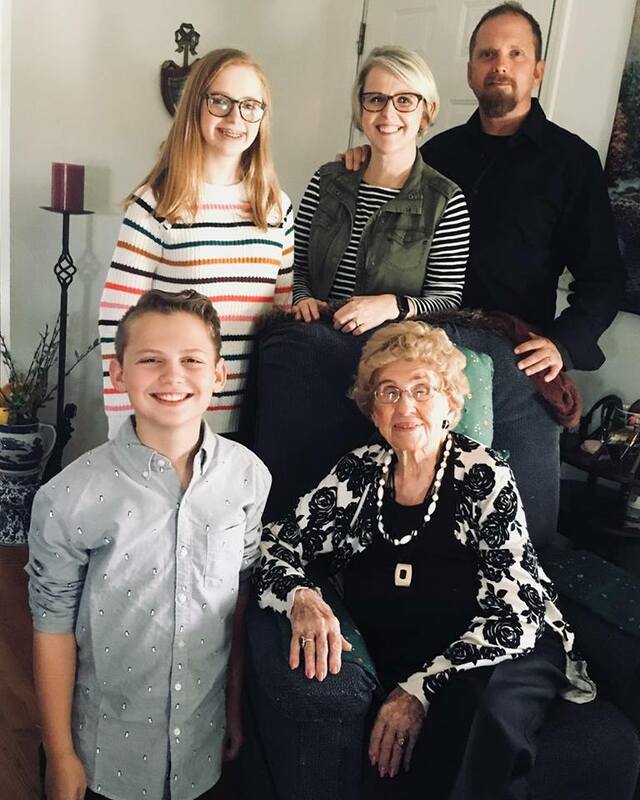 Last Christmas was our last time with my 95 year old mother. 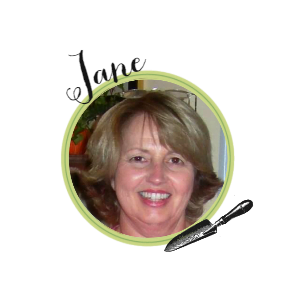 She died suddenly from pneumonia last Jan. 26. We all missed her so very much this year; however, we had, like you, a most wonderful Christmas. i loved your pictures, thanks for sharing. Jane, thank you for sharing. I loved all the family photos- they are the main reason we work so hard to make our homes festive, cheerful, & full of Christmas Spirit!! You did it! Now enjoy! Thank you for sharing this wonderful post with us. I love this post! 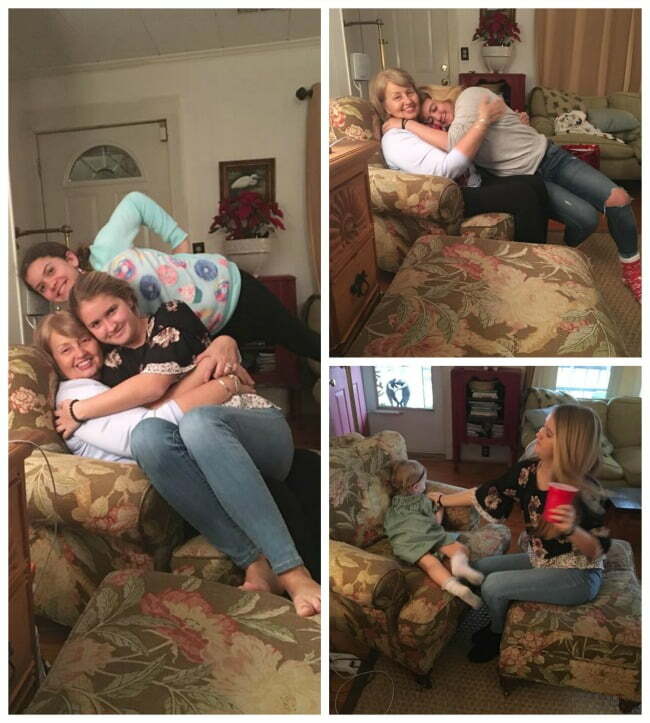 The hugs of Granddaughters and Lucy with her new toy:). I’m happy you put out the gingerbread ornaments and decor, very cute! Yes, now between Christmas and New Years is a good time to reflect and enjoy the moments of what this Christmas brought you. Happy New Year! Just beautiful … all of the decor and family pics…… I too, can now sit back and just enjoy the glow of the Christmas lights on the tree … no rush to take it down!! Peaceful… and bright !!! 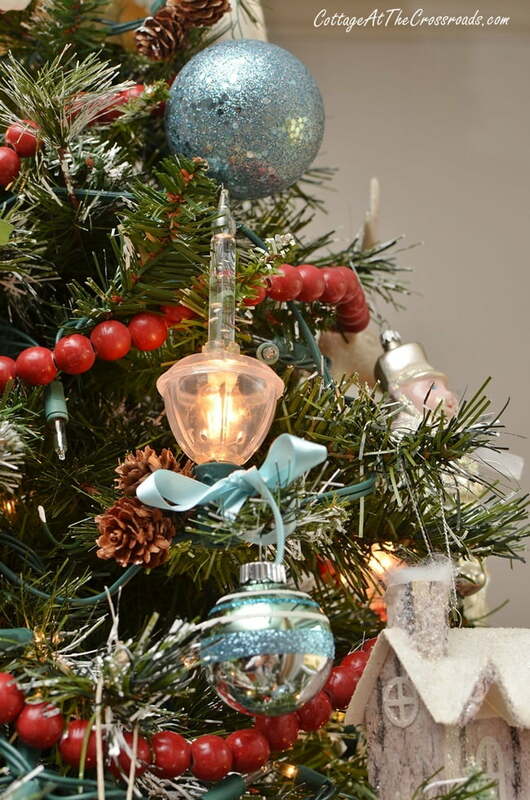 Are your bubble lights new or from days gone by? Diane, the bubble light are new and not vintage. I ordered them last year from Bronners. https://www.bronners.com/product/clear-c7-bubble-light-set-of-7.do I used 2 sets on a 4 foot tree so you will probably need more on a larger tree. Love all you have done. Thanks for sharing with us. Happy New Year. It all looks fun and lovely. Your mother looks awesome for 95. My mother has longevity on her side, so we will see. She is 82 and in good shape. Sweet memories with your precious family. 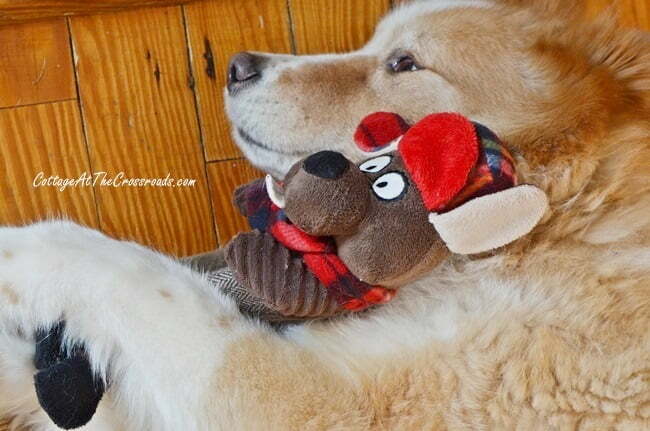 Your Lucy and her toy is precious. It is wonderful to have family with you at Christmas. The joy stays with you after they go back to their busy lives. Have a wonderful new year.